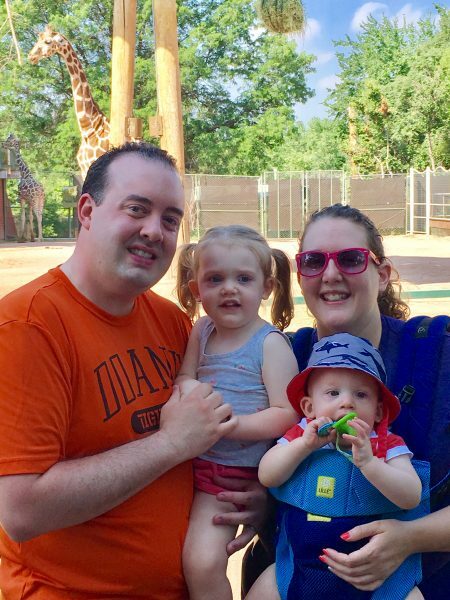 Ben and Nikki Piper are two of our best friends and were so happy that they were able to take a quick getaway this summer with their young children and Ben’s parents, Martha and Steve. For their family vacation, they drove from their home in Crete, Neb., to beautiful Colorado. They stopped at the Garden of the Gods where they explored the natural beauty of this dramatic landscape. I had never seen pictures of this incredible place, so thanks for sending us a postcard, Martha and Steve! As we already knew, the Pipers love visiting zoos. 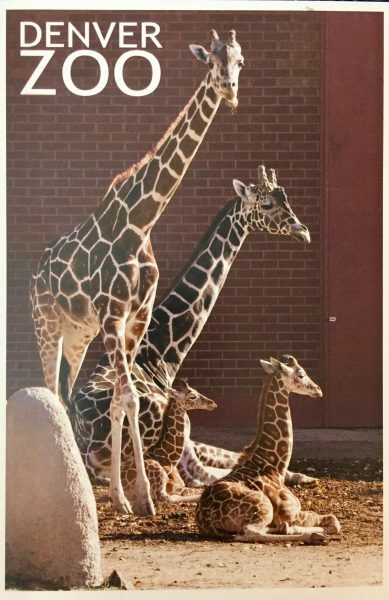 In fact, we got our very first postcard (from someone we weren’t related to) from Ben and Nikki when they visited the Henry Doorly Zoo in Omaha. 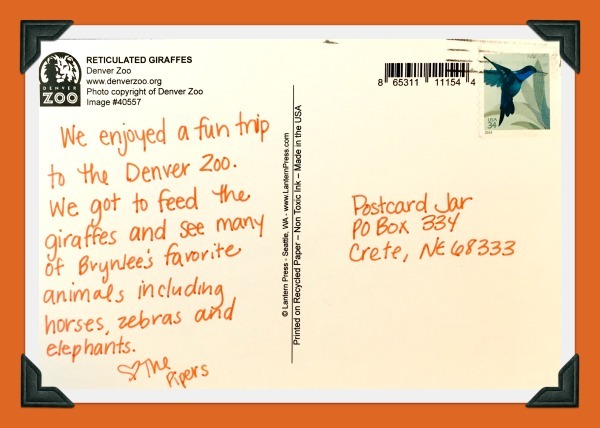 This trip, they went to the Denver Zoo where they got to see all of their daughter, Brynlee’s favorites, including horses, zebras, and elephants. 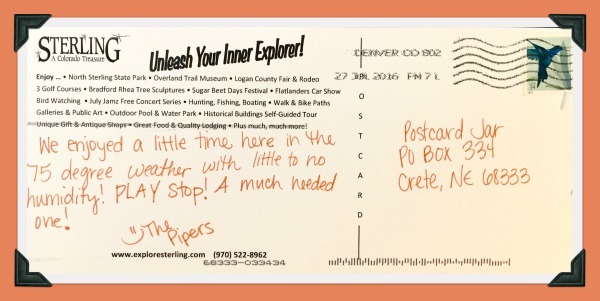 The third postcard we received from the Piper family was from Sterling, Colorado, which is home to the North Sterling State Park, the Overland Trail Museum, the Annual Suger Beet Days Festival, and lots of other outdoor activities. 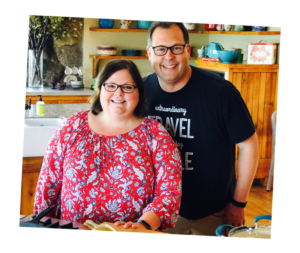 Ben and Nikki loved the mild temperatures there and the escape from the constant humidity we experience during the summer in southeastern Nebraska. 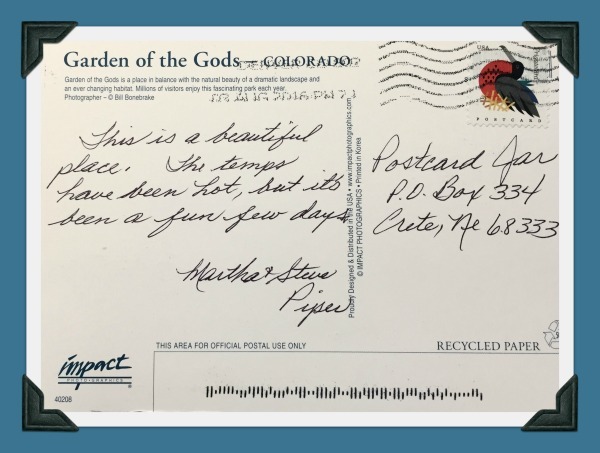 Thanks again, Ben, Nikki, Brynlee, Ryker, Martha, and Steve for thinking of us while you were on vacation and for sending us all these great postcards! We hope you have many more amazing family vacations like this one.